Higher payroll taxes didn't stop U.S. consumers from hitting the malls in January. 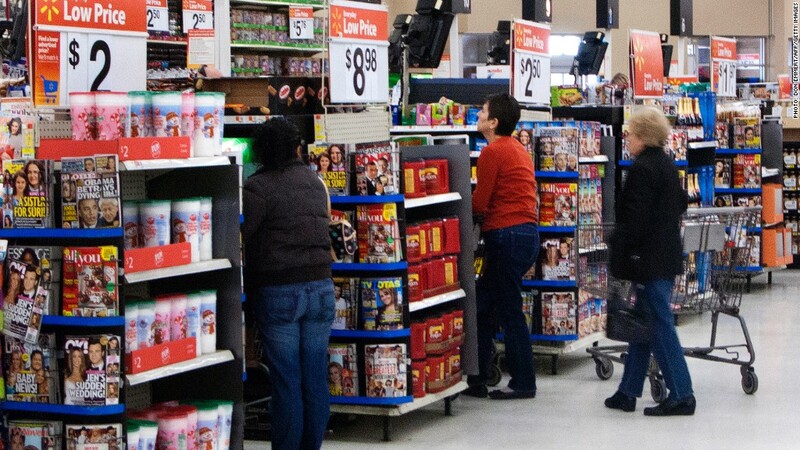 Overall, retail sales rose 0.1% during the month, according to the Census Bureau. While this is a slowdown from the 0.5% increase in December sales, the gain was in line with expectations. Economists were expecting consumers to pull back as the payroll tax cut expired, causing workers to receive slightly lower paychecks. General merchandise stores posted remarkably strong sales. Sales at department stores in January increased 1% from December. "It was a clearance month, as companies were trying to get rid of all of their winter merchandise," said Jharonne Martis-Olivo, director of consumer research for Thomson Reuters. "That bodes well for consumers because right now their paychecks are weaker." Large publicly traded retailers, such as Target (TGT),Nordstrom (JWN) and Macy's (M), have all reported solid gains in sales recently. "Our guests continue to shop with discipline in the face of a slow economic recovery and new pressures, including recent payroll tax increases," Target CEO Gregg Steinhafel said in a statement last week. Other categories were not as robust as department stores in January. Motor vehicle sales fell slightly, as did sales at furniture stores and health and personal care stores. Sales at food services and drinking places were flat during the month. And consumer spending is expected to weaken in the coming months. Department stores tend to roll out their full-price spring merchandise in February. Along with higher taxes, consumers will also start to feel the impact from higher gas prices, which so far, have risen about 20 cents a gallon, or 6%, in the first two weeks of February. "We wouldn't be surprised to see higher taxes and gasoline prices hit sales harder in the next few months," said Paul Dales, senior U.S. economist with Capital Economics.